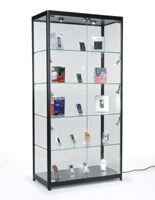 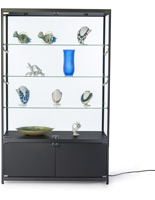 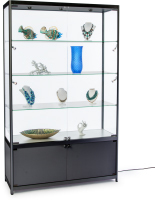 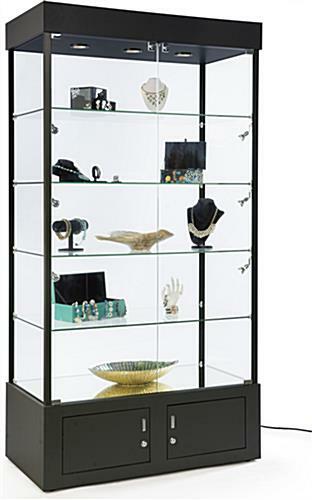 This black display tower w/ LED lighting and wood base has many features to recommend it to store and gallery owners! 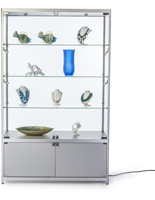 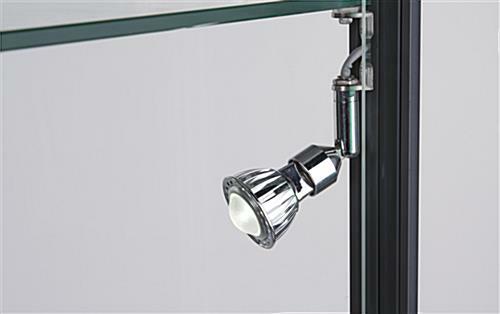 This fixture has clear tempered glass on which to highlight objets d'art and other collectibles in an upscale boutique or art gallery. 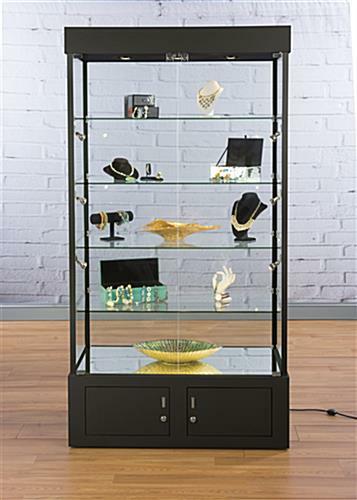 This black display tower w/ LED lighting is constructed of anodized black aluminum and melamine, which is an affordable way for showcasing upscale memorabilia. 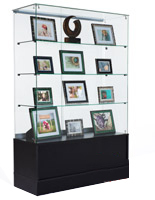 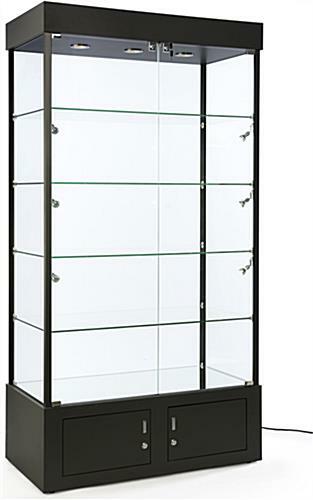 The clear shelving highlights sports memorabilia w/ four durable green-edged tempered glass shelves. 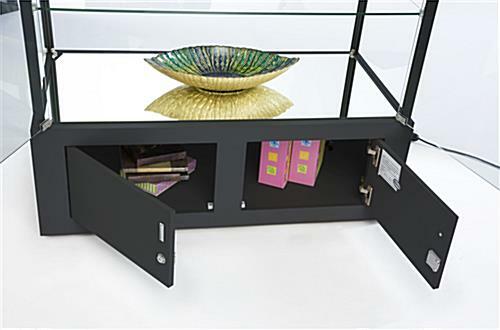 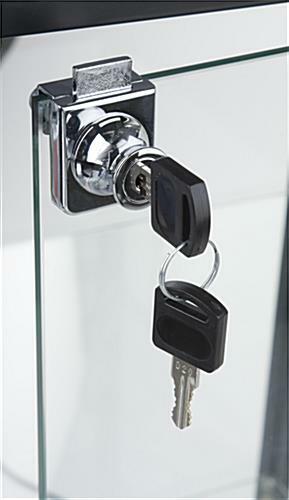 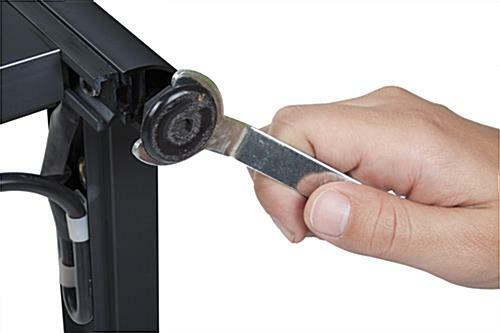 Adjustable feet ensure the presentation remains stable on uneven floor surfaces. 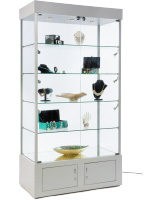 This clear display tower w/ LED lighting (three ceiling and six side spotlights) has a wood base that is mirrored on top for added illumination!